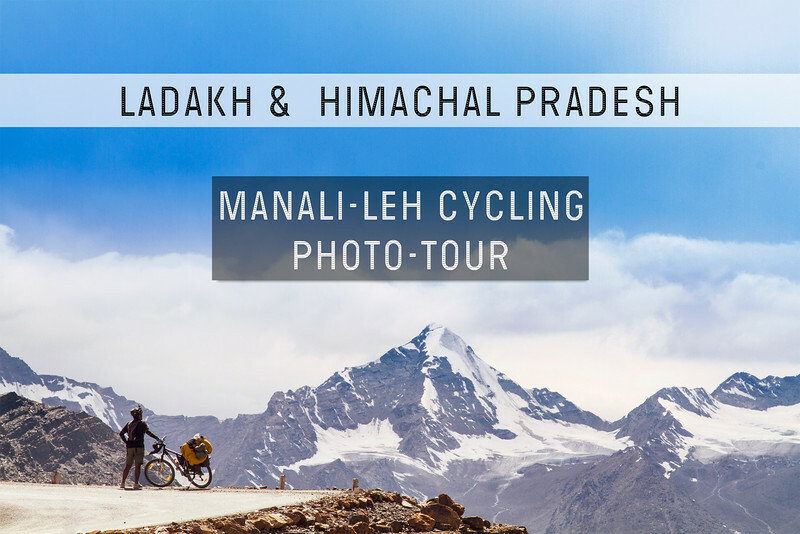 Challenging cycling, Himalayan scenery, traditional villages and ancient monasteries. This unique region, home to traditional Tibetan Buddhism, is the scene for one of cycling's epic journeys. Over the course of the ride the scenery changes from verdant forests and flower-filled valleys to barren lunar landscapes with towering peaks and hanging glaciers. The rich culture of the Ladakhis is also a highlight, as our route weaves its way across the Himalaya we can see monasteries majestically perched on high spurs and enjoy the tranquility and beauty of a genuinely untouched land. Running the trip in this direction entails more climbing overall, but offers the best opportunity to fully acclimatize and cycle the whole route. With such an amazing route that offers so much diversity in landscape and culture, It makes perfect sense to bring your camera along. So why not maximize the photography potential to the fullest and learn photography from the professionals. We have a structured course in photography, that starts from the basics in Manali, and builds up as the tour progresses, so that in a couple of days you are confident shooting in manual. The technical aspects of photography are broken into modules, which are covered on a daily basis. For every module their is an assignment that's based on the days route, so as to make the ride more exciting and engaging. Even the breaks you take are an opportunity to practice. Once the ride is completed, we have a critique of the participants images at the campsite, where the instructed offer feedback and a Q&A session. Technical aspects :Understanding your Equipment, Shooting modes, and exposure. Aperture & Depth of field. Practical Modules on: Landscape & wildlife photography. People & portrait photography. Night Photography. Timelapse photography. By the end of this course not only will a participant be super fit, He/she would be have an in-depth understanding of photography. Day 01: Arrive in Manali. On arrival our representative will receive you at Manali Bus/Taxi stand and we will then transfer you to the hotel. After checking into the hotel you are free to explore the local surroundings. Manali is surrounded by beautiful fir and pine forests and there are lovely walks in and around the town. There is also a colorful Tibetan bazaar famous for its shawls, caps, jewellery and handicrafts made by Tibetan refugees. Acclimatizing day with your bike. This morning we get on our bikes for the first time and go on an acclimatization ride. Get our bikes ready for the following days. A nearby forest hides a 450-year-old temple, called Hadimba Devi, made out of wood that has remarkable carvings Here we have a session on the basics of photography. We then cycle out of Manali and follow the Beas River to Nagar Castle.After this 30KM ride we head to the hot sulphur springs at Vaishisht. Day 03 : Manali – Marhi . Leave Manali early in the morning, gradually climbing through alpine forest towards Marhi., 5-6 Hr, and elevation gain 1270m. Today we start our first full day of biking on one of the classic cycle routes in the world. We start climbing right from Manali through the flower-filled valleys and cedar and fir forests, passing through numerous villages. After the last village, called Kothi, we will cycle up lots of hairpin bends which bring us to the Rohalla Falls. We will then ascend into a small valley where we will reach our camp for the night. Cycle to Sissu over the Rothang La (3980m). 45 Km, 6-7 Hr, elevation gain 1100m. A hard day today as we cross our first pass. We leave early and leave all habitation behind as the road zig zags higher and higher into the mountains. Much of the road near the top of the pass can be muddy especially when wet. We feel as though we are entering a different world as we reach the top of the Rothang La. This barren windswept pass, blocked by snow for more than six months of the year, crosses the Pir Pinjal Range and is the gateway to Ladakh. We leave the coniferous forests and lush green pasturelands behind and enter a vivid mountainous desert. Ahead are spectacular views across to the mountains of Lahaul and Spiti. From the top of the pass the road snakes down 900m to the small village of Khoksar, followed by an eary ride to Sissu. The difficult section of our mountain biking begins today. We would need to be more cautious since we would be staying for next 3–4 days on an average altitude of approx 4400m / 13200ft and above. From Jispa the road continues along the Bhaga River till Darcha. From Darcha the road climbs in switchback turns & gradually leads to Patseo. We pass one small but beautiful lake of Deepak Tal. Where one can enjoy a refreshing swim, if time and weather permit. Coffee at a local restaurant. From here we continue climbing, until we reach ZingZing Bar (4100M). Ride over the Baralacha Pass (4892m) and on to Sarchu. A hard day today as we cross the Himalayas to Sarchu. Sarchu is the border between the states of Himachal Pradesh and Jammu, Kashmir and Ladakh. After a gradual climb across large meadows past Zingzingbar we start our long ascent to the Baralacha La Pass (4892m). The climb seems at times to go on forever but the hard work is worth it as the views become increasingly spectacular. Finally we reach the top - we are in the middle of the mighty Indian Himalaya. The word Baralacha means 'a pass with crossroads' and the trails from Zanskar, Ladakh, Spiti and Lahaul come together here. This is the main crossing of the Great Himalayan Range and we get amazing views of the many snow-covered peaks including Barashigri, Chandrabhaga and Mulkila. From the pass the cycling gets easier as we descend past Kiling Serai and on to Sarchu. We Push Ahead, beyond Sarchu’s grasslands, on a relaxed 21km ride to Brandy Nallah, where we can enjoy a magnificent sunset between glowing golden grass and exquisite sandstone formation. This will be our longest and hardest day of cycling so we will set off early. We start by climbing at the bottom of the Gata Loops. This is a series of 22 amazing/challenging/gut-wrenching hairpin bends, which we slowly ascend. Take time to stop and look back - the valley behind is full of amazing wind eroded rock formations. At the top of the loops we would have climbed 500 meters and reached the NakeelaLa 4800m. Following by a fun downhillall the way to camp. The day starts with another winding ascent to our first pass of the day, the Lachalung La at 5100m. We are now crossing the barren Zanskar Range and we are surrounded by amazing multi-colored mountains - the purples, greens and browns of the hillsides change shades as clouds are blown across the sky. From the Lachalung La we have an easy ride down through an amazing canyon of magnificent rock formations of the Trans Himalaya until we reach Pang. Across the Mori Plains to Tsokar Lake.57 Km, 5-6Hr, elevation gain 400m. We start slowly with a short ascent to the Mori Plains (4700m). We are now in Rupshu, the waterless high altitude desert of the Tibetan Plateau. This area is all above 4500m and is home to the hardy Changpas, Tibetan nomads who live in yak hair tents and graze huge flocks of sheep and yaks in this seemingly barren landscape. The road is generally flat or downslope from the plains to Tsokar, where we halt for the day. We begin the ride with a gradual incline all the way to the top of Taglang La (5303m) to Leh.122 Km, 9-11 Hr, elevation gain 900m. A hard day today as we cross the last pass before Leh, the Taglang La.. The long climb starts gradually and winds ever higher and steeper to the top of the Taglang La (5350m). You should be proud of yourself at the top - you have just cycled to the top of the second highest motorable road pass in India! We are rewarded for all our hard work with wonderful views of both the Himalaya and the Karakorum Mountains. After a rest and photo stop we have a wonderfully long zigzag descent to our first real villages since Lahaul. The houses and green fields of barley and potatoes greet us as we reach our halt at the villages of Rumtse. A fairly realaxed ride to Leh awaits. We push further and meet with the Highway at Upshi, From here its 50km of moderate ups and downs all the way to Leh. Accommodation & Food for all tours days mentioned above. © 2011-2019 UPslope Productions LLP. All rights reserved.